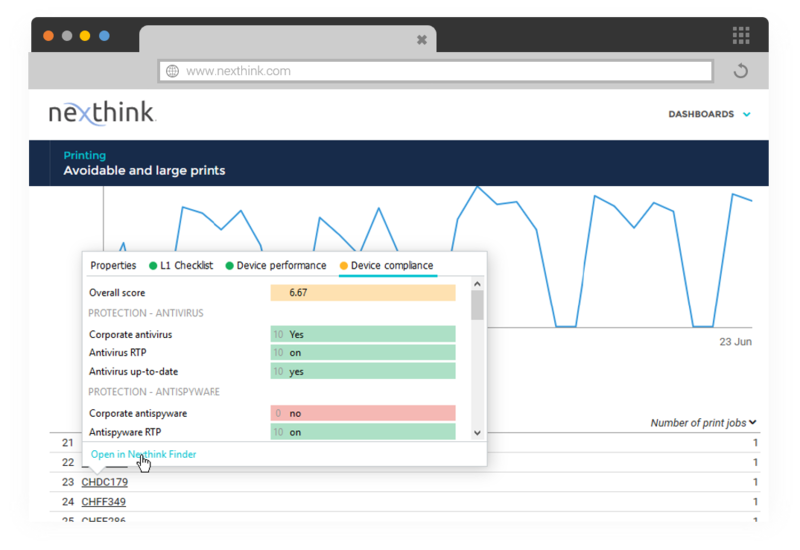 Review: "Nexthink - Going beyond APM, Security, and CMDB Applications for a Holistic View"
Nexthink is deployed via corporate operations IT to help monitor end-user devices and key services to our technicians and Engineers. We also use it for dashboarding purposes to track trends and have used it in the past for siloed reporting to assist with CMDB and application deployment management projects. Support. Nexthink has always provided great levels of support when needed. The Finder is great but to utilize the product effectively it takes some getting used to. Very 'right click' heavy. Learning curve. Nexthink is very boolean based in their investigations (not a knock, most products are), but since they can track things at such a siloed level it's important to know specifically how they are classifying their objects (ex, a package vs. an application vs. an .exe vs. a binary) so you can understand what findings you're getting. Parity on Mac and Linux products. This is improving though. Nexthink is very well suited to support your ITSM solutions, assist in root cause analysis, project investigations/planning, device tagging, inventory and compliance management, proactive remediation, etc. In those regards it really is lightning in a bottle. While Nexthink can certainly act as a CMDB, I would not use it as such - it can support a repository but should not be the repository. It goes way beyond an APM, so if you're just looking for an APM, Nexthink does do that, but it does a lot more too. Nexthink, according to the vendor, is a global leader in Digital Employee Experience. Nexthinkr products allow enterprises to create highly productive digital workplaces for their employees by delivering an optimal end-user experience. 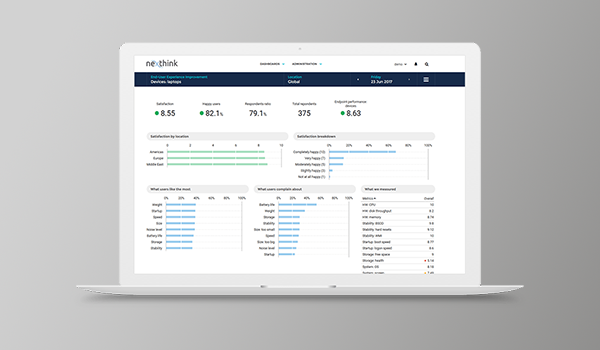 Through a unique combination of real-time analytics, automation and employee feedback across all endpoints, Nexthink helps IT teams to meet the needs of the modern digital workplace.